Your thoughts on the Martial Peerage branding? Greetings friends and supporters of the Valiance Proposal and the Martial Peerage. Our collected efforts and attention is important to this Society and I hope we all continue to be active. A quick poll to gauge interest in the branding of the Martial Peerage, please share and participate. When it comes to branding for the Martial Peerage whats more important? This is not an official polling and is in no way affiliated with the authors of the Proposal. It came up that thrown weapons are handled differently from Kingdom to Kingdom. For instance I recently learned that in Meridies, a combat archery cannot use thrown weapons. This is apparently only for ‘heavy’ or ‘rattan’ fighting use. So how many variances are there in the combat community? Does it make sense that CAs or siege engineers cannot use throwing axes, maces, knives? Im curious about the debate for and against. Society law is pretty clear about who can and who cannot. Clearly a CA cannot engage in melee unless specific conditions are met, and then only if the combatant is authorized appropriately. Please comment below with your thoughts! 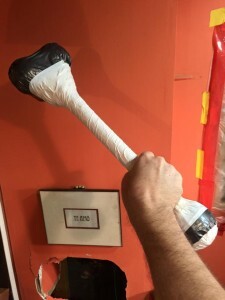 You’re gonna poke an eye out with that thing! Construction and standards of Thrown Weapons. 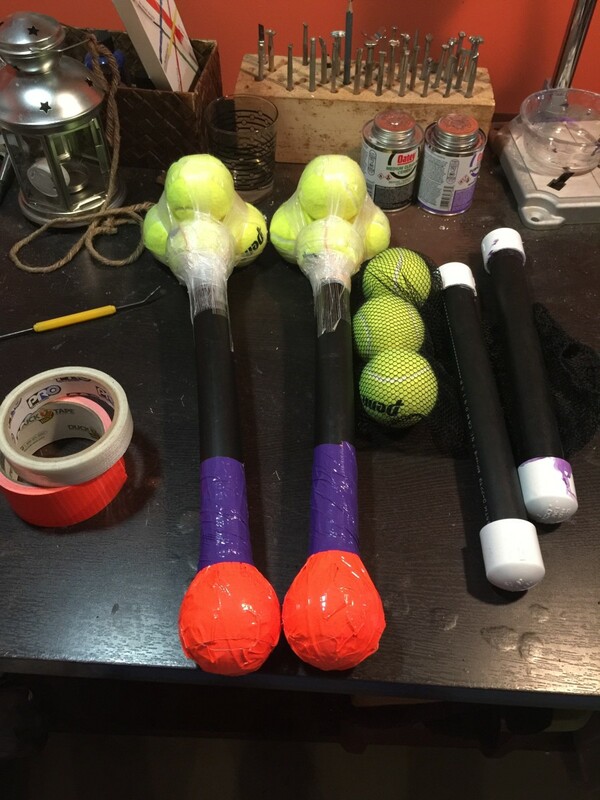 After constructing a few throwing maces, I got some good hands on experience, and wasted a little money, but in the end the ones I made need to be disassembled. Alas the Schedule 40 PVC I was using exceeded the PSI but didn’t conform in other ways. It doesn’t remain flexible enough and can shatter. Thanks to Godai and Otto they have set me on the right path. I want to share that information with you all now. Siloflex: A brand-name polyethylene tubing made from PE3408 resin and conforming to ASTM D2239 standards. The material is approved for various uses throughout the rules in pressure ratings ranging from 75 PSI to 200 PSI. Please check the standards in the appropriate area of the rules for what is allowed. Siloflex equivalent: other tubing or pipe, typically made for drinking water applications, made from polyethylene resins with the ASTM classification of PE 3408 and produced to the ASTM D2239 standard. This was the mojo I needed! If you do a search for ‘ASTM D2239‘ suddenly you get tons of hits. Try doing a search for ‘Sil-o-flex‘… [crickets chirping]. The 1″ Pipe I’m getting in lengths so I don’t have to straighten it out. The inner 3/4″ pipe is in a coil, but I have to worry less about the straightening as it will be inserted and glued inside the 1″ pipe. I hope this helps others who find themselves on the path to making thrown weapons! Now that you have some technical specs to compare, it will make using any other comparable product easier to find! 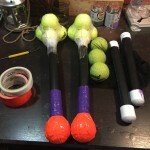 Perhaps Ill save one of these PVC maces for martial classes for the ‘how to fail’ section!